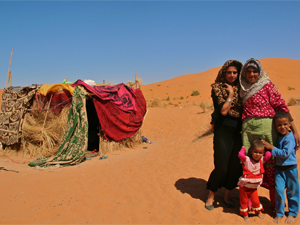 Start the afternoon, two hours before sunset and travelers should be prepared to spend the night in the camp (Berber tents in the middle of sand dunes, after crossing the highest sand dunes and over this adventure person will sunset and go to camp and have a mint tea “Berber whiskey” in a Berber tent with dinner, a drum party with Berber music under the sky full of stars in the morning, you have to get up for the sunrise and see a golden color on the sand dunes and take a Berber breakfast in this quiet then, camel trek to the hotel Kasbash. 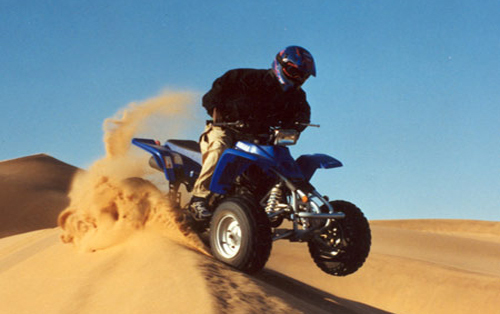 You can rent moto quad and ride yourself on the dunes and in the region. We can provide you guidance and tips that will turn your Quad adventure even more exciting. You can drive your Moto Quad right from the front of our hotel into the dunes and have great fun. If adventure is what you’re looking after in your vacations, we can provide you with all the thrill you’re. 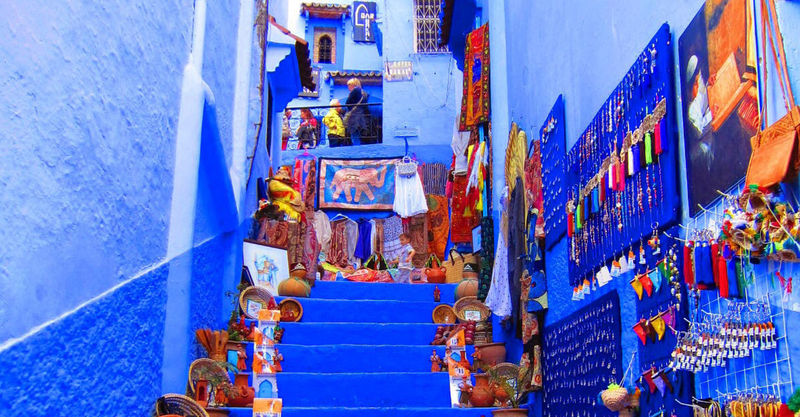 looking for, turning your vacations to an authentic memorable experience. 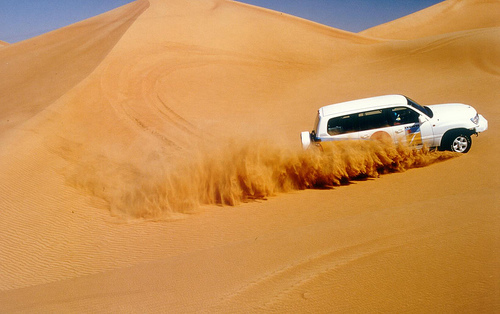 We can get you motor bikes, dune buggies and bicycles for you to explore the Sahara Desert. 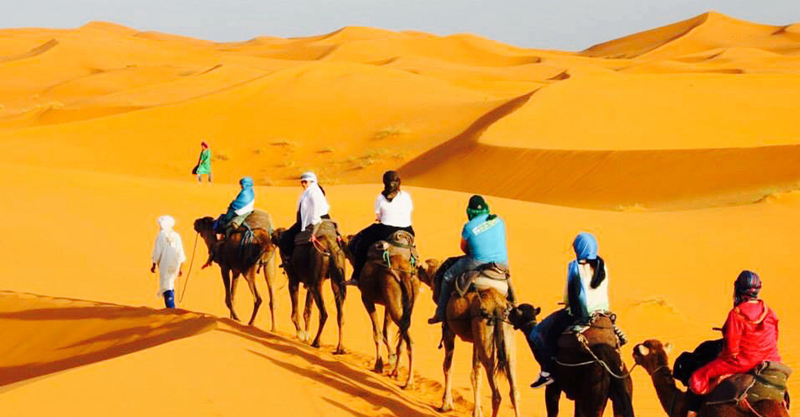 We can make it possible for you to hand glide, ski and sand board on the dunes of Erg Chebbi. After breakfast starts the tour to explore microscopic peoples of the surroundings of the Dunes of ERG CHEBBI, such as Hassi Labied, Merzouga and Khamlia. 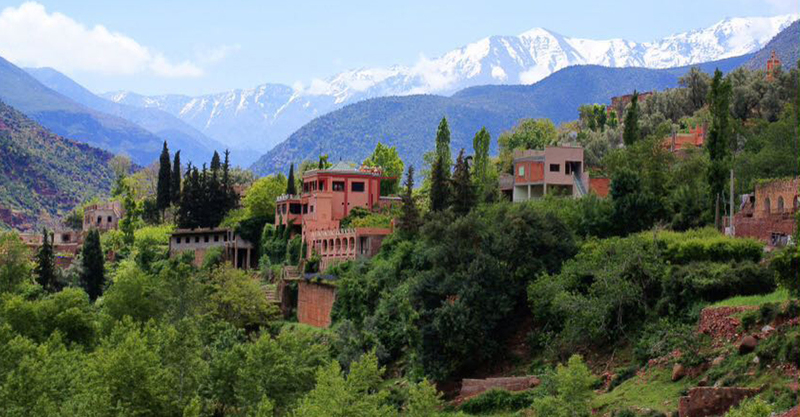 In Hassi Labied we stop in a garden where can observe the irrigation system by the channels. 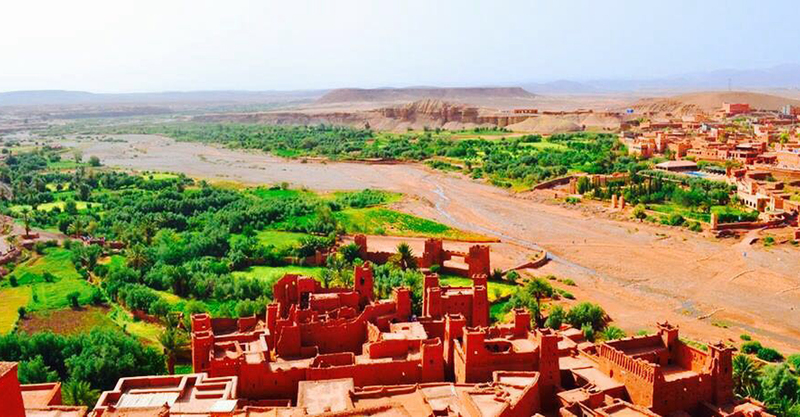 From this point we will continue to the track toward Merzouga, near Merzouga will have the possibility to see the lake Dayet Srji which appears in the spring and attracts swarms of pink flamingos and any type of wild life. The lovers of birds benefit from this Pacific area. En route to Khamlia, we can expect to see the people of the desert which will show us their desert foxes. We can also find with a certain that another reptiles or mammals of the desert. In Khamlia, known as the people “black men” who in his time have been slaves from the Sudan is hospitalariamente received with a green tea then enjoys the Gnawa music. Leaving behind Khamlia, our next stop is in the panoramic view of the Sea bream sand dunes near the border with Algeria. We will be able to stop to make a meal “picnic” under the shade of a tree before we continue our visit to the nomadic families living in tents Berbers and who are involved in their cattle and goats and camels. 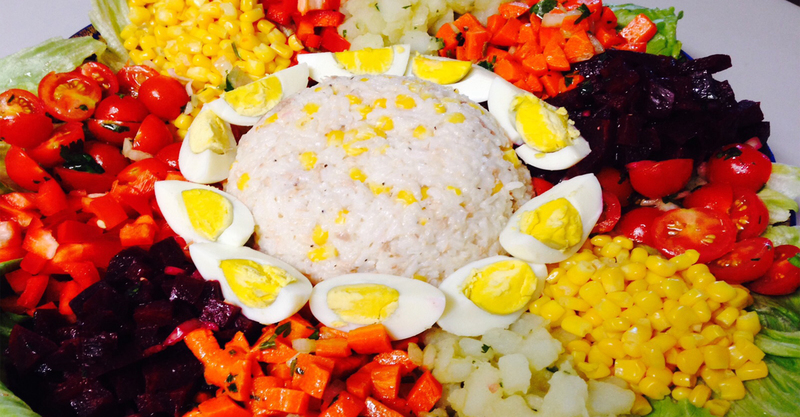 Will be presented to the various members of the family and you will learn on their mode of life then enjoys the taste of a cup of green tea. After all this, has the possibility to visit the area of volcanic rocks black. Then we will achieve an incredible view, where can be perplexed with the hearings of the dunes, in addition to the near Lake (spring); return after his hotel to eat and relax.